An award-winning singer/songwriter, with three albums on Columbia and Epic as well as two more independently released albums to her credit, Pamela Polland’s ever increasing list of musical credentials reads like a veritable Who's Who of artists … from all points on the musical compass. "Pamela Polland is a biospheric torch singer, a ruby-throated chanteuse whose cabaret is the planetary heart." Over the course of her 40-years in the business, this seasoned professional has both performed and recorded with such luminaries as Bonnie Raitt, Kenny Loggins, Jackson Browne, Van Morrison, John Denver, Taj Mahal, Manhattan Transfer and a host of others. In 1970, Pamela joined the famed Mad Dogs & Englishmen Tour with Joe Cocker and Leon Russell, appearing on the resulting album as well as in the movie. Her songs have been recorded by the likes of Linda Ronstadt, Helen Reddy, The Byrds, Vicki Carr, Nancy Ames, Anita Carter and Bobby Bare. 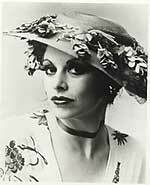 Pamela has won numerous awards, including an ASCAP award and a coveted gold record. Her recent AWAL release, "Heart Of The World", features special guests Bonnie Raitt and Kenny Loggins and has received wide acclaim in both the USA and Asia. After writing her first song at age nine, Pamela's musical career began to flower, as a teenager in the mid-1960's, playing folk music, (and a variety of stringed instruments including guitar, banjo, & dulcimer). In this context, she met the young, budding guitar instrumentalist, Ry Cooder. For the following two years, they worked as a duo; Ry accompanying Pamela’s performances of authentic blues material. The only known recording made during this era is a live performance from the Ashgrove nightclub, which is featured on the "Early Release" section of this site. Pamela formed The Gentle Soul with fellow singer/songwriter Rick Stanley in 1966. The band played Southern California venues and recorded on the Columbia and Epic labels for the next three years. All their recordings are also featured in the Early Release section. When The Gentle Soul disbanded in 1969, Pamela moved to Mill Valley, California where she continued to write and perform. In 1970, she took a short "break" from her solo career to join Joe Cocker and Leon Russell for the famed Mad Dogs and Englishmen tour resulting in her participation in both the associated double album and film documentary. But in 1971, Pamela re-signed with Columbia Records and went on to tour and record as a solo singer/songwriter for the next few years. Clive Davis, then President of Columbia Records, included a chapter on Pamela in his renowned book Clive: Inside The Record Business. Both of Pamela's solo Columbia Records albums are featured in the Early Release section. In the mid-70's, Pamela was drawn to return to her blues roots, but in a decidedly different way. She created a fictional character named Melba Rounds (got the idea from a cracker box), and formed an entire revue of music from the 20's, 30's and 40's eras, complete with costuming, tap and ballroom dancing. 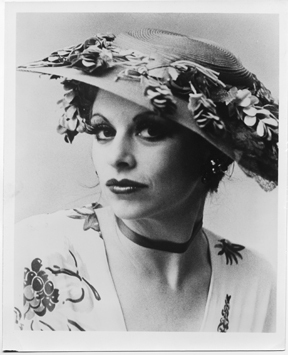 The Melba Rounds Show took San Francisco by storm for several years during the mid-to-late 70's, and won Pamela rave reviews and a large fan base. Researching music for the Melba Rounds Show served to introduce Pamela to the larger world of Jazz, and in the late 1970's she joined the Golden Age Jazz Band as principle vocalist. Pamela performed regularly with the Golden Age Jazz Band (among other jazz bands) for the next 10 years, but never lost her love for songwriting. In 1995, much to the joy of her fan base, Pamela released Heart Of The World, a compilation of original material featuring Pamela's unique outlook on life. The album, produced by Gary Remal Malkin (Graceful Passages), features guest appearances by such musical dignitaries as Bonnie Raitt, Kenny Loggins, Paul McCandless (Oregon), Marc Russo (Doobie Bros) and renowned Bay Area keyboardist-producer Frank Martin, among other sterling musicians. Fulfilling a life-long call to live in the Hawaiian Islands, and after the release of Heart Of The World, Pamela and her noted-designer-husband Bill Ernst, resettled on the island of Maui. Pamela immersed herself in studying the culture and native language, joining a hula halau (performing hula school); eventually adding the ukulele to her gig bag. 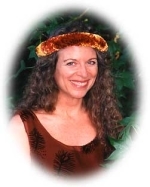 In recent years, Pamela has performed both as a hula dancer and as a musician, accompanying other hula dancers. Pamela is currently the band leader of a four-person ‘ukulele band, Keaolani. Please visit the Keaolani website http://www.keaolani.com/ to learn more about the band, their history, and their current events. In short, all members of Keaolani have been studying under the tutelage of Hawaiian Music Hall Of Fame Award recipient Kahauanu Lake and his protégé son, Walter Kamuala‘i Kawai‘ae‘a. Pamela feels honored to be associated with these legendary Hawaiian masters and to have the opportunity to help carry forth the culture of traditional Hawaiian music. Pamela has also formed a partnership with talented cohort and long-time friend, Bobby Parrs, composing and producing music for film and television. On the heels of forming their production company, Maui Film Music, Pamela and Bobby scored a PBS documentary on the life and artistry of George Mendoza. To hear examples of their scoring work, please visit MauiFilmMusic.com. As must be obvious from this litany of involvement amidst a variety of musical genres, (as well as art forms not even mentioned! ), Pamela is an adventurous and creative force -- one who will always surprise her audience. Feel free to visit this site now and again, to see what surprises she has in store. © 2009 Pamela Polland. All rights reserved.